This Second Interprofessional Education and Collaborative Practice for Africa conference provides an opportunity for participants to discuss ideas and devise and test strategies to mobilise concerted action to improve health and wellbeing for individuals, families and communities across Africa. The conference is driven by the conviction that concerted action to improve working together will effect change, enhance quality of care, ensure safety, and optimise deployment of human resources on the continent. The conference is a collaboration between AfrIPEN, Sigma Theta Tau’s International Tau Lambda at Large Chapter , the WHO-FIC Collaborating Centre for the African region and Amref University. We welcome all health collaboration champions, educators and researchers to Nairobi, Kenya from 30 July to 2 August 2019. Whether you are a health or social practitioner, service user, student, academic, manager, policy maker or researcher, the conference will inspire and be an opportunity to compare perspectives, exchange experiences, share expertise and transform current understandings. The overarching theme of the conference is Building an Interprofessional Education and Collaborative Practice culture: from policy to practice. The sub themes look to explore policy as catalyst for interprofessional education and collaborative practice (IPECP); evidence and best practice for IPECP; culture influencing IPECP; and breaking down professional silos for collaborative practice. 2018 Annual report of the Regional Network for Interprofessional Education in the Americas (REIP). 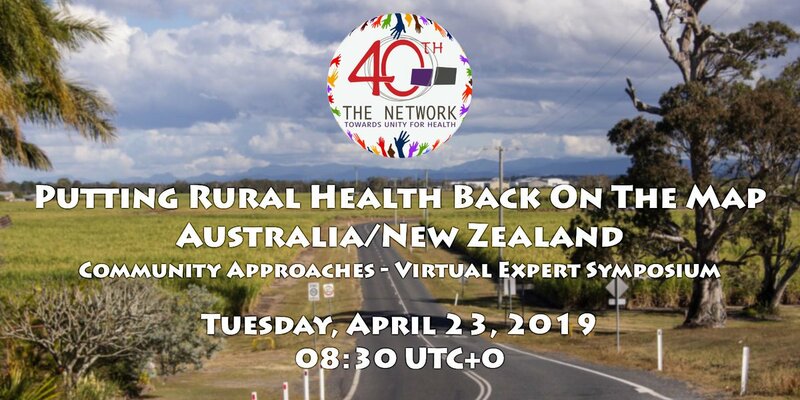 On Tuesday, April 23, we're having a special symposium PUTTING RURAL HEALTH BACK ON THE MAP - Australia/New Zealand at 08:30 UTC+0. This will focus on the Oceania region and all are welcome to join in.